In 2011, the UK was shaken by an unprecedented outbreak of looting, arson and violent crime that began with the London riots. While many observers chose to focus on the hapless thieves photographed brazenly looting bags of crisps and trainers from bargain stores, far less attention was paid to the fact that one in five of the rioters later hauled before the courts was affiliated with a gang – a percentage that Dr Simon Harding, Senior Lecturer in Criminology at Middlesex University, says was in reality much higher. "Many of the gang element were smart and didn't get arrested," he says. "They covered their faces and moved their stolen goods on quickly, unlike the opportunists." Noting that the number of gang members involved in the Brixton riots of the 1980s was only one per cent, he believes that the seemingly clear link between gangs and the 2011 riots should have been addressed by a police force that was too quick to say they did not play a pivotal role. "The riots had very little to do with politics or making money from stolen goods," Dr Harding says. "They represented an enormous opportunity for people involved in gangs to build their 'street capital' – it was a reputational extravaganza. They might only have sold each stolen plasma TV for £50, but the opportunity to advance their reputations quickly was priceless." 'Street capital' is a term from Dr Harding's latest book The Street Casino: Survival in Violent Street Gangs, which uses the metaphor of a gambling house to explain the dynamics of London's gangs. Like poker players trying to acquire chips, gang members look to increase their street capital in order to best their peers. "All of them are in competition to achieve a level of distinction," he explains. "They are compelled to play the game on a daily basis and they all think they're going to be winners but, in reality, the house always wins." 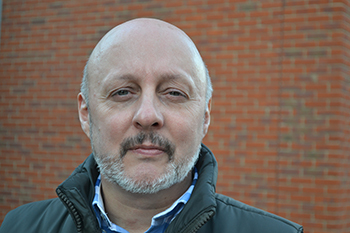 Dr Harding, whose previous work includes Unleashed: The Phenomenon of Status Dogs and Weapon Dogs, gathered the information for his latest book using "a 360-degree approach" – involving conversations not only with gang members accessed through local charities but also parents, residents, probation officers and others, in order to help him separate the myth from the reality. During his interviews, the gang members, who Dr Harding says didn't view him as "a threat", talked to him openly about violence and drugs – giving a fascinating insight into their daily lives. He discovered that they face a daily struggle to build and defend their own personal brands, leaving them in "a hyper-vigilant state of perpetual high anxiety", as they attempt to navigate an ever-shifting "landscape of risk". 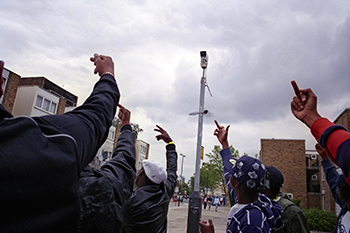 According to Dr Harding, social media has played a huge role in the increase in the frequency, intensity and severity of gang violence in the capital in recent years, due to its ability to change this "social field" in an instant – with relationships generated or destroyed at the click of a button. 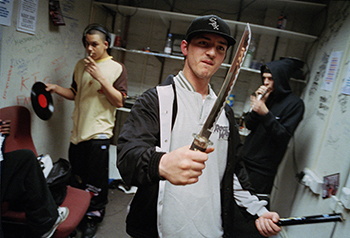 Other factors behind this surge of violence are an increase in the number of "players" involved in the "game", including immigrants from different cultures; a shift towards people playing the game for longer, with people starting younger and leaving later; and a "compulsion" to play the game due to a lack of plausible alternatives for London's impoverished youth. For Dr Harding, tackling poverty is the key issue when it comes to addressing London's gang problems, rather than criticising black rap culture, as the historian David Starkey chose to do during the 2011 riots. "Hip hop and grime music are cultural expressions of people's experience," he says. "I don't believe they influence people to do something. The lyrics are bleak because that's what people are experiencing. The real wellspring is poverty, compounded by racism. Gang members are largely forgotten about and ignored because it's an existence adults don't understand. They blame the kids but, for many, there is no plausible alternative. But it's our responsibility – we've created these areas of London." It is this view that Dr Harding will be sharing with government policy makers, probation services, local charities and others during a one-day conference at Middlesex University on 5 September. 'A New Direction on the Question of London Street Gangs?' will also provide the perfect setting for Dr Harding to launch The Street Casino. 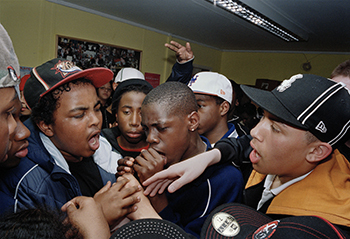 The conference is preceded by a five-day exhibition of photographs (several of which illustrate this feature) by Simon Wheatley, taken from his book Don't Call Me Urban: The Time of Grime, which tells the story of London's council estates. See them on show for free in the Grove Atrium at the Hendon campus. Photos are for illustrative purposes only. Those depicted did not take part in Simon Harding's study. All images, except that of Simon Harding, copyright Simon Wheatley.